Ferrari car tuning tips and advice. The Ferrari has a great reputation of creating awesome cars with huge amounts of performance. Owners of such exotic cars are looking for ways to boost power and further improve the drivability. We have a wide range of tuning articles covering all models of Ferrari from classic sports cars to large F1 derived supercars. Following our tuning tips you will avoid many of the common mistakes and actually achieve the car setup you desire in your Ferrari. Please join the forum (our supercar forums) for model specific questions and answers and to meet other owners and see what modifications they have done. 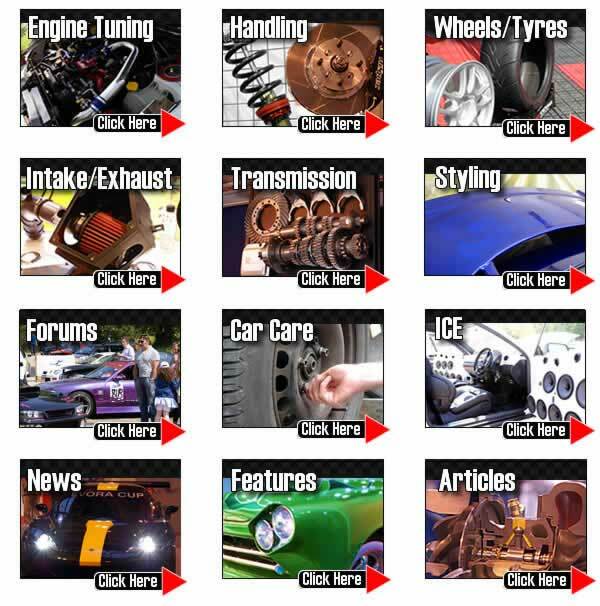 TorqueCars started providing Ferrari performance part tips, car performance and car modification tips and suggestions back in 2003 and have grown from strength to strength with a fast growing membership of all types of cars including many, Ferrari owners. We are currently one of the fastest growing car tuning clubs around and certainly one of the friendliest. In 2007 we also organised our first full car show. Our Ferrari tuning features with performance tips and information on peformance parts for your car get updated so for the hottest Ferrari performance part,performance and modification advice, tips and pointers please check back regularly. We strongly recommend that you join our Ferrari forums and swap performance part ideas with like minded Ferrari owners in the performance part forums. We would like to hear about your interesting Ferrari projects, so drop into the forum, post up a new thread and pass on your tips, we love to see members car pictures and have an ever growing gallery. Scroll down the page to see our latest tuning articles for your Ferrari. When your DPF filter blocks up you face large repair bills, follow our tips to ensure your DPF clears. Some simple driving style tips and additive suggestions will make a massive difference to your DPF filter and promote smooth running of your car. Lets look at the job of the coil in the spark system and see what it does.